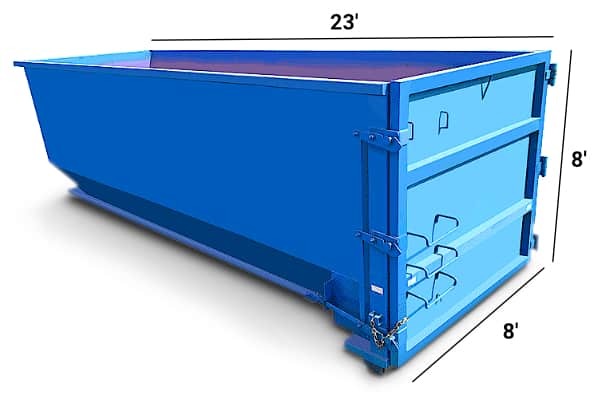 Affordable Roll-Offs makes it easy to rent a dumpster that is the right size for your project. Ensuring you don’t pay extra for more dumpster capacity than you can use. 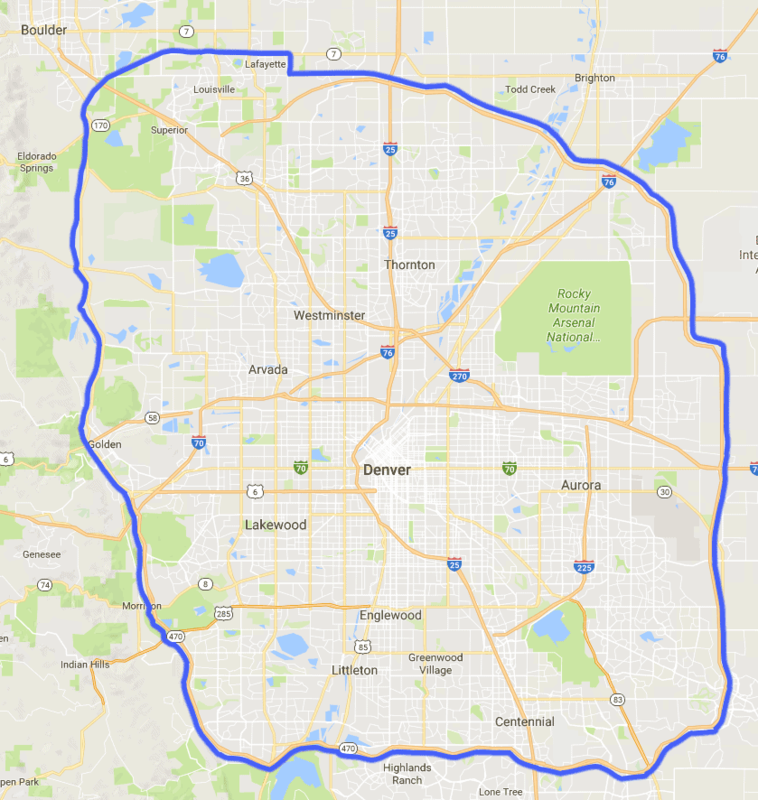 Here’s a good way to gauge what dumpster size you might need. We compare a standard truck bed to our dumpsters, in an effort to provide a better reference for those of us who don’t deal with trash on a regular basis. Dumpster sizes are measured in Cubic Yards. 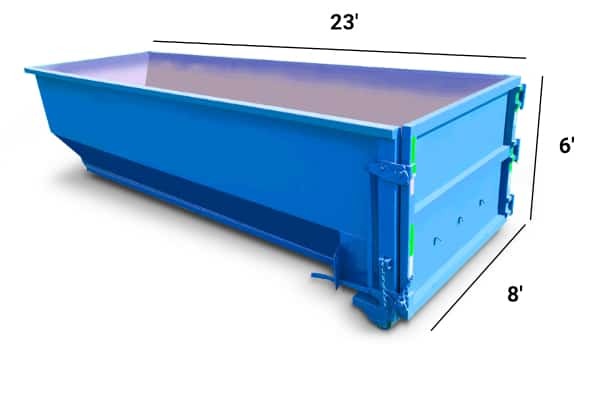 A 30-Yard Dumpster has the capacity to hold up to 30-Cubic Yards of waste. 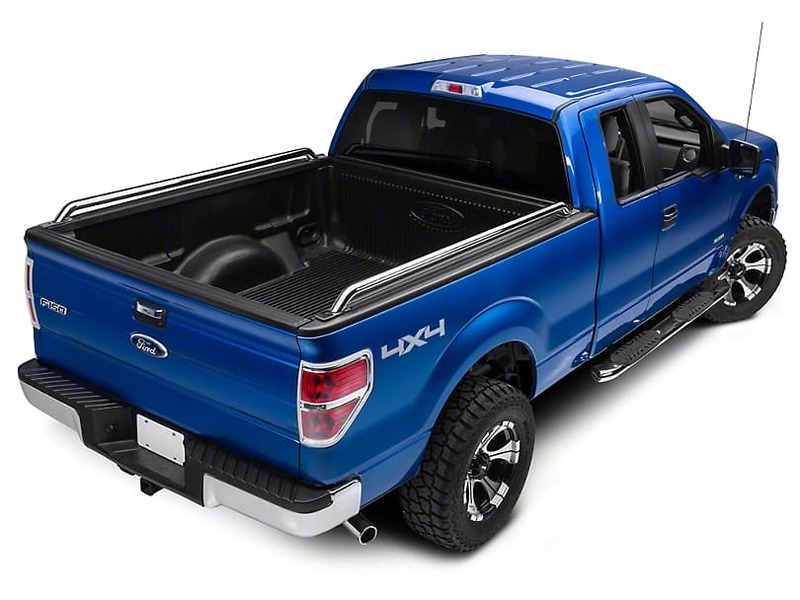 As a reference, a standard Ford F-150 pick-up truck can hold about 2.5 yards of waste when loaded level at the top. Cubic-Yards are a measure of volume and not a measure of weight. 1 cubic-yard is equivalent to 3’ft Long x 3’ft Wide ‘x 3’ ft Tall box. A dumpster’s weight can vary depending on the type of material you will be disposing of. It’s important to keep weight in mind when disposing of heavy materials, such as rock, dirt, concrete, brick or sod. Heavy materials can exceed the weight limit of the dumpster resulting in overweight charges. Please see below for weight limits included with our rentals. If you have questions or concerns regarding heavy materials please give us a call or email us at Sales@affordablerolloffs.com we’re always happy to help! 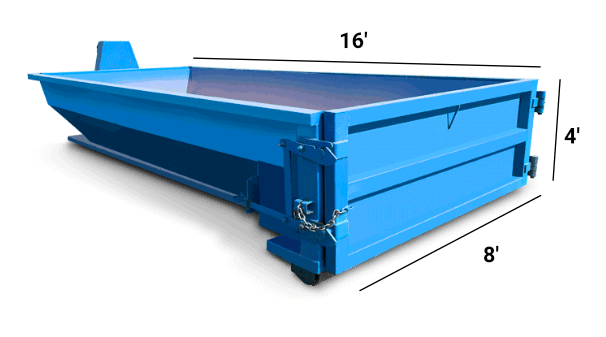 Our 15-yard dumpster is the perfect size for small to medium clean-ups or remodeling projects. It’s shorter length makes it the ideal choice when space is limited. It’s lower height sidewalls allow for convenient loading, which saves you time and energy! Capacity: approximately 6 standard pickup truck loads. Weight Limit: up to 3-tons included in our flat rate. That’s equivalent to 6,000 lbs! Pro Tip: This is the dumpster to use for short driveways. Capacity: approximately 12 standard pickup truck loads. Weight Limit: up to 5-tons included in our flat rate. That’s equivalent to 10,000 lbs! Pro Tip: The dumpster 8′ ft door makes it easy to load larger items such as large cabinets, sofas, and other various items. Capacity: approximately 16 standard pickup truck loads. Pro Tip: This dumpster 8′ ft tall. So, it’s advised to use the access door when loading large items.